Today we decided to visit Forty Hall & Estate. 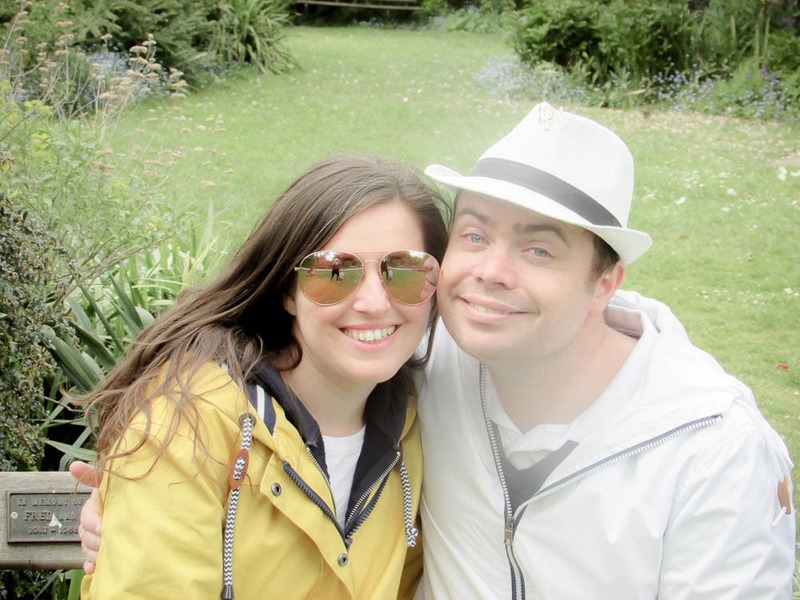 I used to live just down the road from Forty Hall in Enfield but never went there; we now live about 30 minutes away and we thought it would be a nice place for a fun family day out. 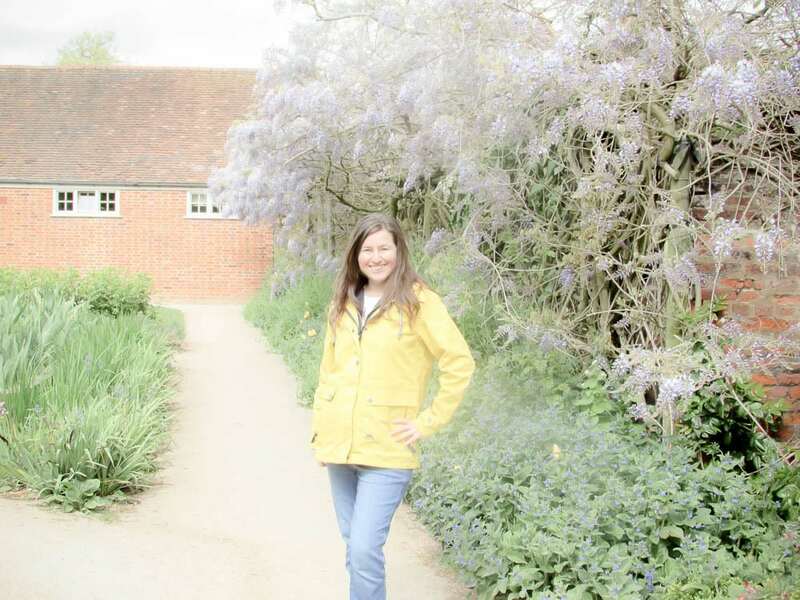 I was so impressed when we got there; there is a beautiful Grade 1 Jacobean Manor House set in incredible parklands that includes a lovely duck pond, amazing tea room and beautiful gardens. There is also a little farm but we didn’t get chance to visit the farm today. We will definitely be going back so we will do the farm next time. As well as being somewhere that you can visit anytime, Forty Hall also have lots of family events on throughout the year. Surprisingly, Forty Hall is FREE and open most days from 12pm to 4pm. If holidays are more your thing than Days Out take a look at the fun we recently had at Potters Resort. We arrived at lunchtime and headed straight for the little tearoom/café. I ordered the Tomato Soup and was expecting some Heinz in a bowl with a bit of granary bread for my £5.95 to be honest; but the Soup was AMAZING and worth the visit alone. It was a cross between a soup and a casserole; it had tomatoes, carrots, onions and potatoes. 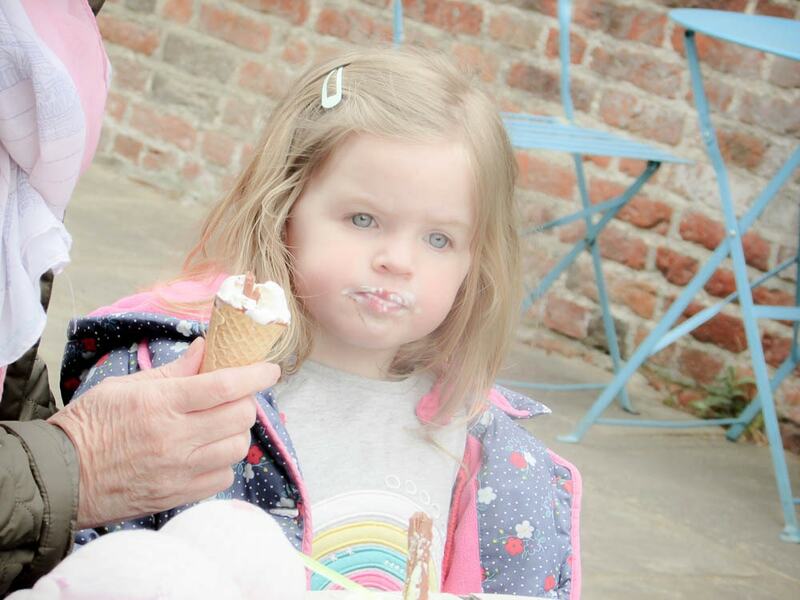 Everyone else had already had lunch so they went straight for the Ice Creams! After lunch we had a lovely stroll through the gardens and Miss H had brought her bubble wand with her and spent ages chasing bubbles and catching them. 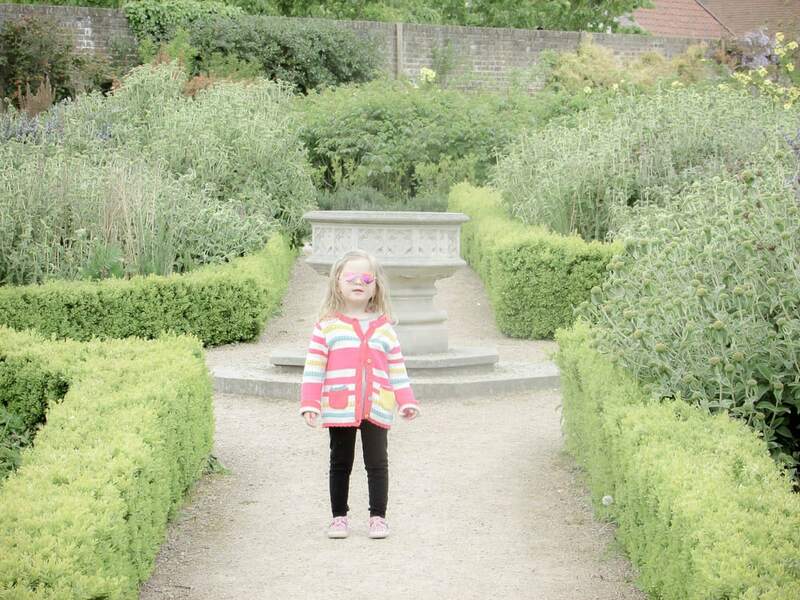 We took some lovely photos in the gardens then Miss H found the Dandelions and Daisy’s and had fun picking a few. It was a lovely relaxing day leisurely walking around and listening to the birds singing away in the trees. I definitely recommend a visit. 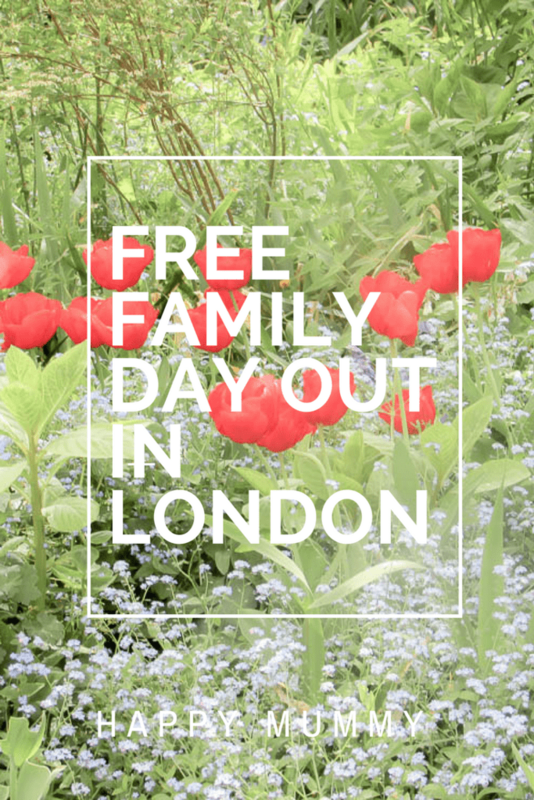 Wow a free day out in London is quite a find, looks like you had so much carefree fun! Fabulous! It looks like a lovely day out – so much joy in these photos, but especially the bubble one!